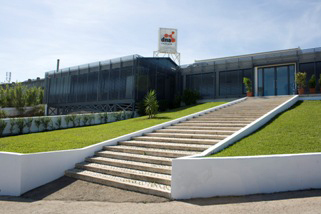 DNA Cascais keeps contributing to the birth of new companies in Cascais. With the opening of the 1st Corporate Nest on July 3, 2009, the Agency created an innovating space aimed at promoting and supporting innovating projects and businesses during their initial and startup stage. Located in Cruz de Popa, Alcabideche, it combines in the same physical space a group of recently-created businesses, placing at their disposal all necessary conditions for their initial success. For this first stage 15 companies will be selected for incubation and another eight as “job” in open space. The first phase of application last until July 28 and companies are expected to be set in 60 days, after the selection process. By creating a virtual incubation service, physical incubation and job rental, companies will have at their disposal an auditorium big enough for 80 people, training rooms, meeting rooms, waiting rooms for clients, security equipment and a parking lot. 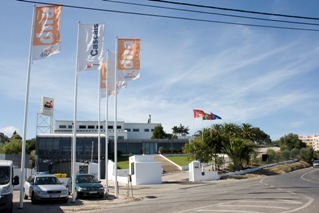 The Cascais Town Hall (CMC) and DNA Cascais hope to support entities, businesses and entrepreneurs with ideas and projects that have economic potential, that are relevant in terms of local competitiveness and development, that are innovating and that create new jobs and help attract qualified professionals. Another benefit is the fact that everyone, individual or not can apply for a spot in this space, as long as they have innovating ideas and projects that have economic potential and contribute to local development, while aiming towards its business implementation. CMC and DNA Cascais hope to create, in the near future, more corporate nests around the municipality, using the same model.